To create a well-maintained and safe public park, enhancing the quality of life for local people by improving their physical and mental health and acting as a venue for bringing people together. Link with others to help protect and improve the green open spaces generally. The aim is to create a dedicated area of memorial gardens for ‘shared’ memories within the Gedling Country Park in recognition of the 128 miners who died down the pit (Gedling Colliery). The long history of the site from a working colliery to the closure in 1991, to the present day will be illustrated on the interpretation boards around the site. The Memorial Garden interpretation board will explain the function of the ‘rings’ used by the miners underground to create tunnels, several standing proud as a feature for all to see and enjoy within the Memorial Garden. The mining rings taken from Gedling Colliery have now been installed as the centre piece of the memorial gardens. 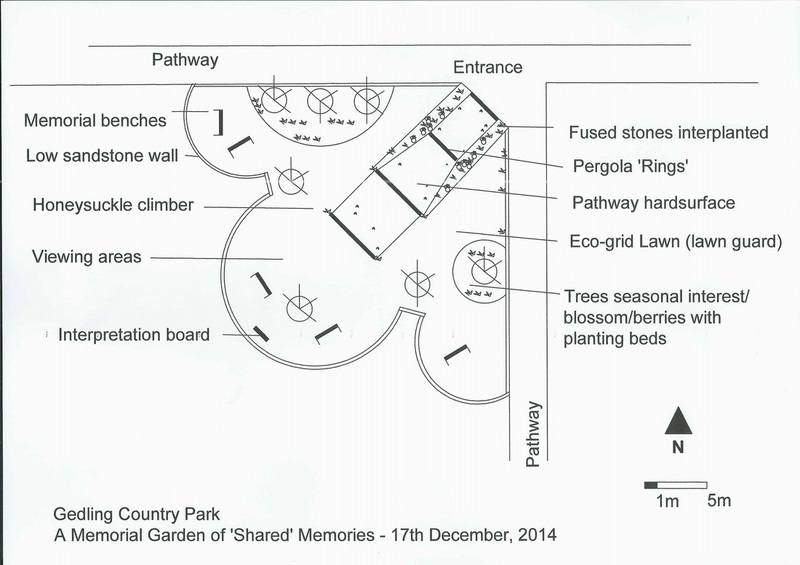 For more information about this project, please see our Memorial Gardens web page. A playground that blends into the surrounding countryside and promotes a sense of adventure and nature is something that could be attractive to children of all ages. We will be working with Gedling Borough Council to seek funding for a playground that is exciting and different for the local community to use. The Friends and Gedling Borough Council have secured funding for the playground, which will open in late Summer 2016. Please see News for more information. The country park would benefit greatly from a visitor centre, which would offer facilities for park users and also provide educational and heritage activities. 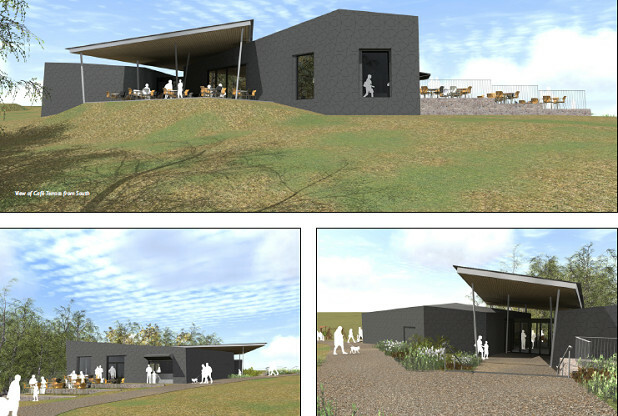 Gedling Borough Council has secured funding for the visitor centre. Please see News for more information. 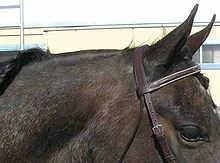 Help design and seek funding for a network of bridle paths for horses to safely use around the park and work with Gedling Borough Council to set-up a licensing scheme for eligible horses to register. 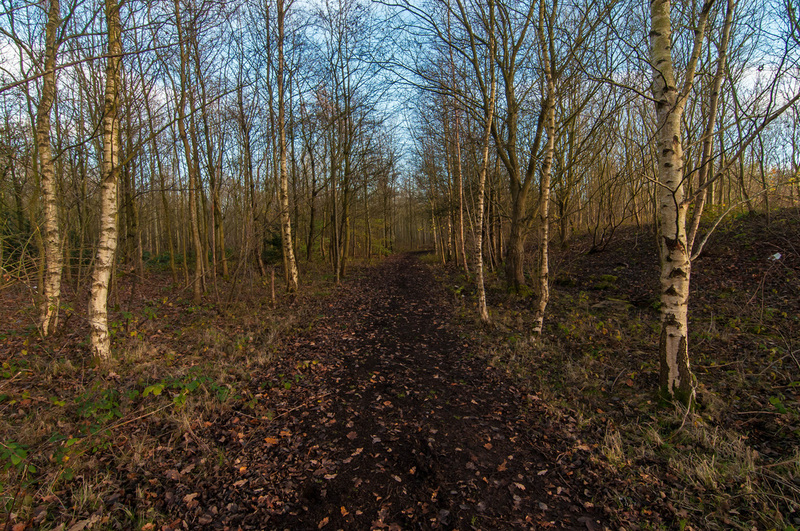 This project will be subject to finding suitable funding to pay for the bridle paths. When Gedling Colliery was operational, the colliers used footpaths to walk or cycle to work from the neighbouring villages where they lived, including Gedling Village, Arnold and Lambley. These paths were well established and we would like to develop a natural pathway for ramblers along the former route of one of them - running from Spring Lane (near to Crimea Farm) and south across the park to then meet Arnold Lane across from Mapperley Golf Course, and join the existing public right of way which goes across the course. The proposed development of 1,050 new homes and the Gedling Access Road, will provide new entrances to the south of the park. Please see our Arnold Lane 1,050 Homes web page for more information. In addition, there are planning proposals for more new houses to be built just off Spring Lane (next to the new Lime Tree Gardens estate) and this development will have a further new openings onto the park (please see our Spring Lane 150 Homes web page for more information). We also hope that in the future there will be a path link from the park to the Netherfield Lagoons and also an entrance closer to the residents of Mapperley (perhaps off the proposed new Gedling Access Road near to Mapperley Plains). We want the park to be accessible for all and this means ensuring that all existing rights of way that meet the park's boundaries have a direct entry and exit point into the park. For more information on the existing park entrances for pedestrians, cyclists and cars, please see the 'How to Get Here' page, under the ABOUT THE PARK section.